This weekend on Sunday 28th October, the clocks go back one hour and that got us thinking about the value of time. Since its discovery, time is something that’s fascinated mankind throughout the ages. From sundials to smart watches, we are devoted to keeping track of the hours and minutes making up our daily routines. Yes, you can check your phone or the display on the television but there’s something about the intricacy, precision and style of a classic freestanding clock that brings a touch of elegance to a room. 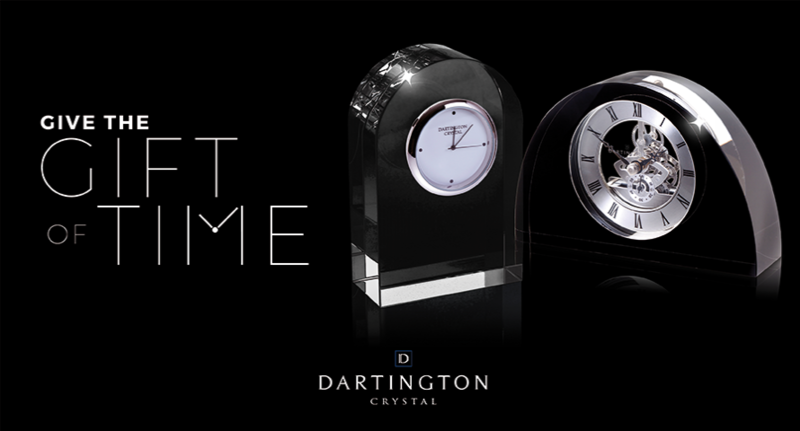 One of the most precious gifts you can give someone is time, so why not show someone how special they are to you with a Dartington Crystal clock? 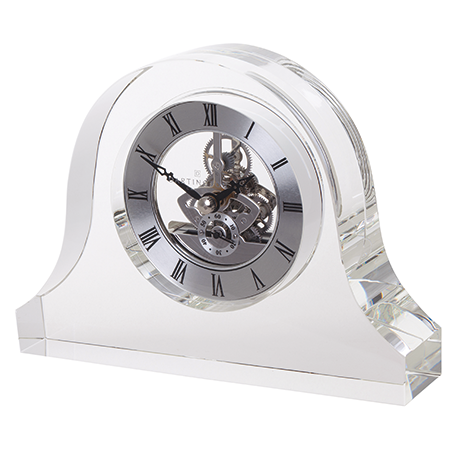 If you’re looking for a thoughtful, yet classic wedding or anniversary gift (or a gift just for the sake of giving) and want something that will withstand the test of time, then our range of stunning clocks could be just the item. 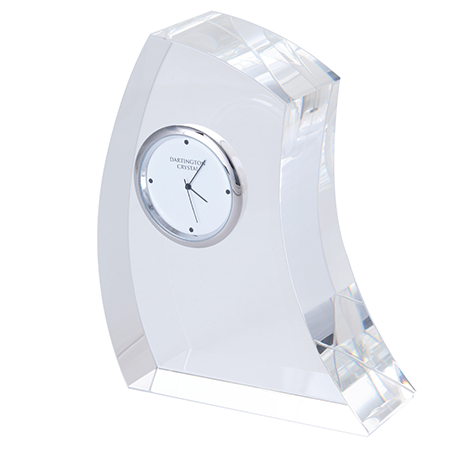 All of our clear crystal clocks can be engraved with a personalised message or image for an even more special keepsake. We have a wide range of clocks, all bringing an extra touch of style and depth to any room, from living rooms to home offices. Find out about our different style clocks below to see which one is best for you. Sleek and stylish, attractive and functional. 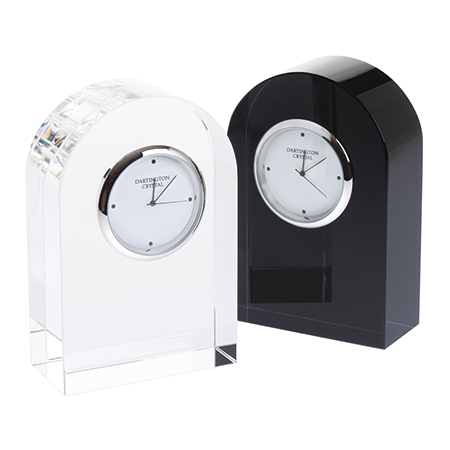 Our curve clocks are fantastic all-rounders, as at home on an office desk as they are on a mantelpiece. The smaller size has a minimalist, modern feel while the standard size has an antique style face for those who like to keep it traditional. Know someone who’s recently landed their dream job? These work perfectly as an engraved personalised gift. For those looking for something a bit different, the crescent clock’s geometric shape creates a touch of glamour in any room. 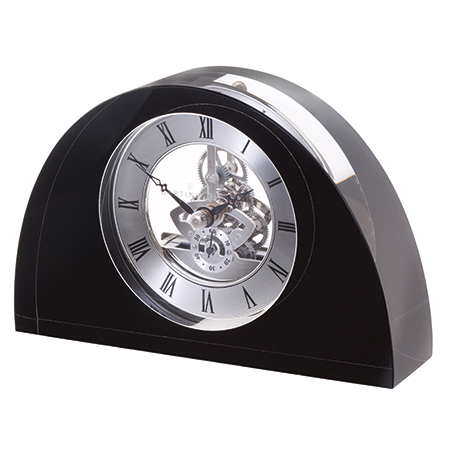 Available in medium and large sizes, this contemporary clock operates as a functional piece of artwork. Wanting to add a stylish focal point to yours or a loved one’s room? 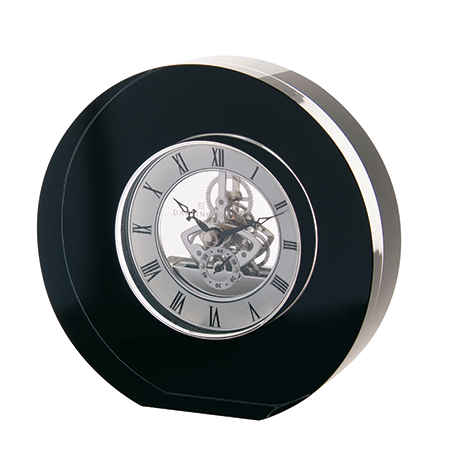 The classic design of the round clock is perfect for adding that finishing touch to any space. Blending contemporary style with traditional elements, our half moon clock is perfect for the modern home. If you just need to fill a space on the shelf or you’re searching for the perfect housewarming gift (perhaps with an engraved message), this attractive yet functional piece provides an extra touch of elegance. Our uniquely styled mantelpiece clock incorporates classic shaping with a sleek modern feel. These make a truly stand out gift (think wedding or anniversary) and look sublime with imagery or text engraving. Shop our full collection of clocks. How will you spend the extra hour? How will you spend your extra hour? Head over to Facebook and let us know!